competence without engaging the assistance of a person who is competent to provide those services, unless the salesperson’s or broker’s lack of expertise is first disclosed to the client in writing and the client subsequently employs the salesperson or broker. I. A salesperson or broker shall exercise reasonable care in ensuring that the salesperson or broker obtains information material to a client’s interests and relevant to the contemplated transaction and accurately communicates the information to the client. 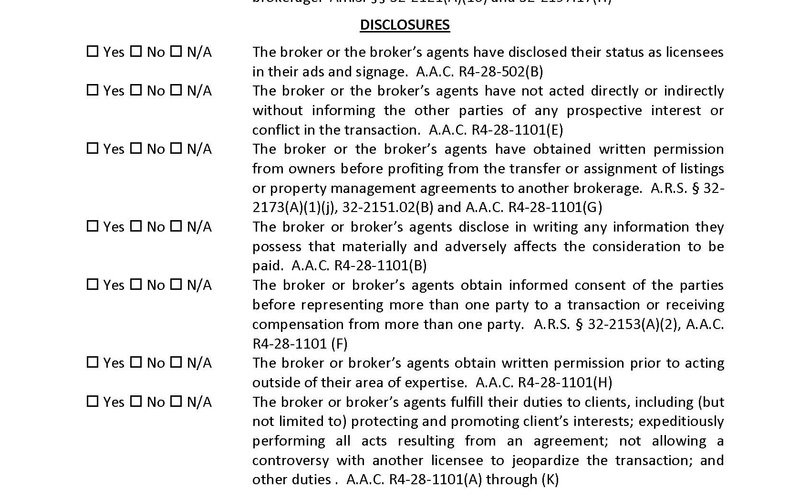 A salesperson or broker is not required to have expertise in subject areas other than those required to obtain the salesperson’s or broker’s license. A salesperson or broker shall take reasonable steps to assist a client in confirming the accuracy of information relevant to the transaction.